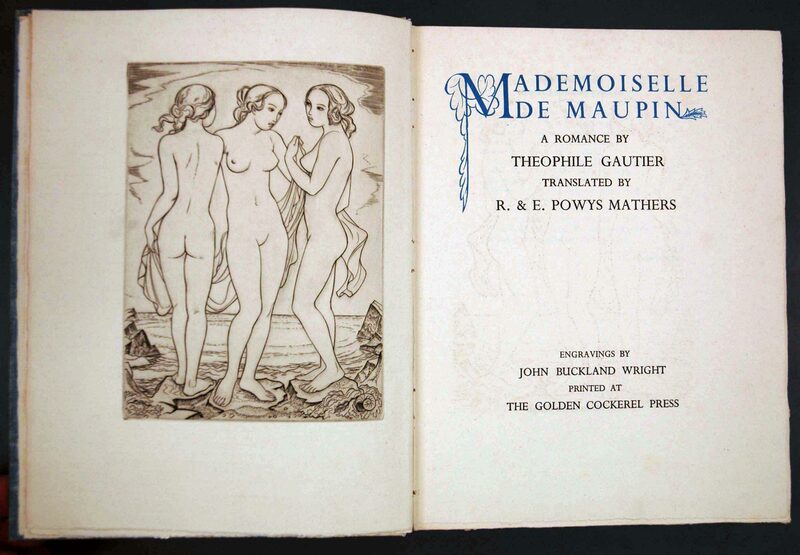 The second Golden Cockerel book illustrated by JBW was Théophile Gautier's romantic novel Mademoiselle de Maupin (1835), which centres on a love triangle: D'Albert, Rosette, and Théadore, who is really Mlle Maupin. JBW worked directly from the French text and produced six copper engravings. He was not happy with the results and later said 'it was one he never should have done.' (E. Martin in Engravings, 1990). Sandford also criticised the images, claiming them as 'suitable for girls' schools and mothers' union.' Humbert Wolfe, as a critic, was more restrained. He wrote that the engravings 'have a fastidious suitability to the theme' of Gautier's text. Théophile Gautier, Mademoiselle de Maupin. 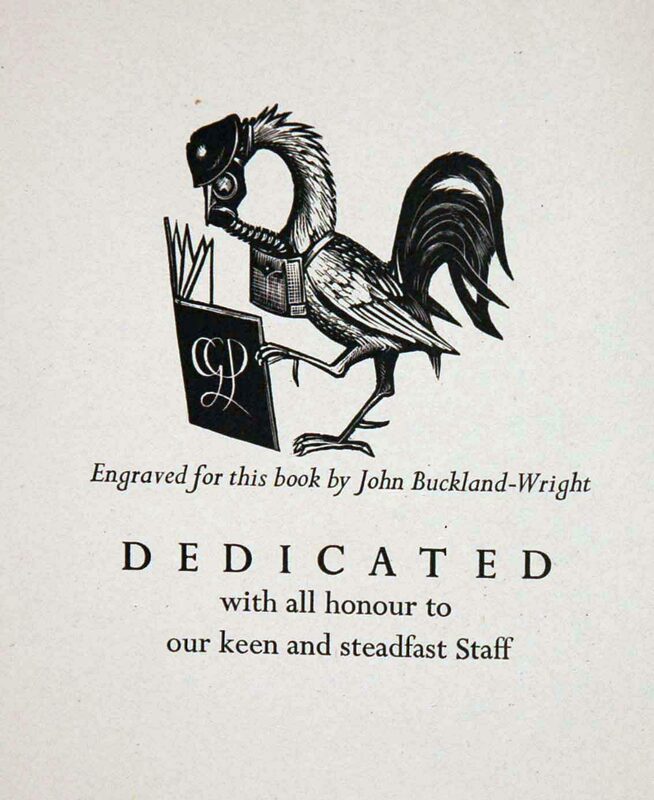 [London]: Printed at the Golden Cockerel Press, 1938. Special PQ 2258 M3 1938. Anarchist printer-publisher Joseph Ishill (1888-1966) hand-set more than 200 book and pamphlets, many through his New Jersey-based Oriole Press. 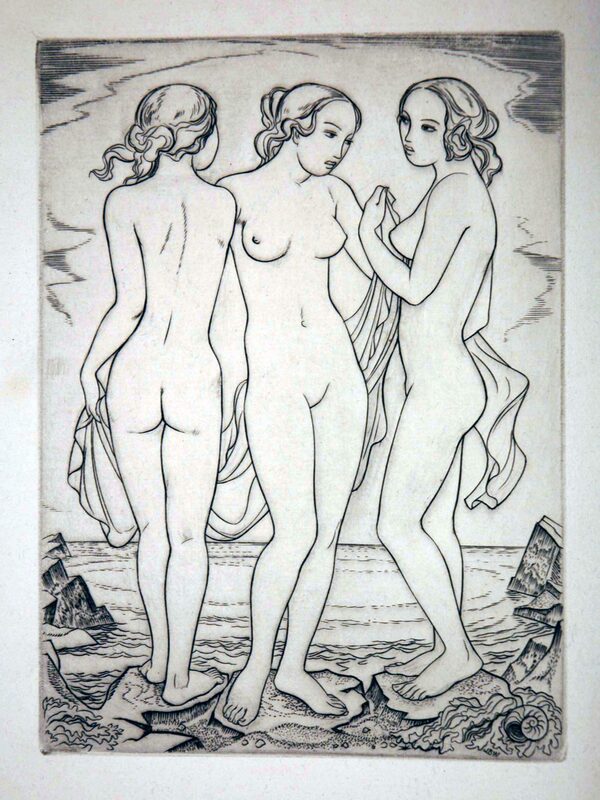 In the early 1930's, he commissioned JBW to produce wood engravings for an annual called Free Vistas (1933; 1937). In between these two publications, Ishill arranged for JBW to illustrate Yew-leaf and Lotus-petal, verse by the English poet and activist John Evelyn Barlas (1860-1914), who, in 1891, caused a sensation by firing bullets at the House of Commons. He was arrested and bailed out by Oscar Wilde. Yew-leaf and Lotus-petal was published in 1935. 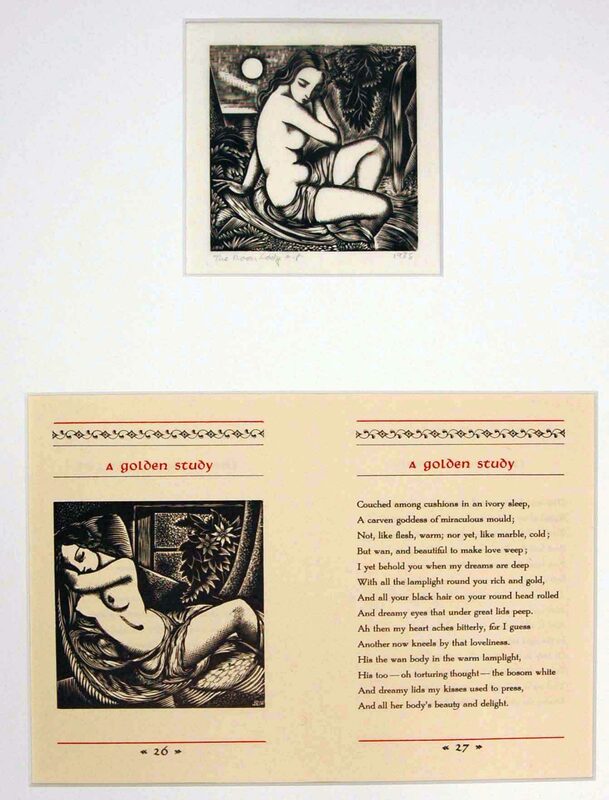 'The Moon Lady' and 'A Golden Study', from John Evelyn Barlas, Yew-leaf and Lotus-petal: Sonnets. Berkeley Heights, New Jersey: Oriole Press, 1935. Private Collection. The Golden Cockerel Press was founded by Harold M. Taylor in 1920. In 1924, Robert Gibbings joined the press and further developed the aim of making finely produced books available to a wider public at a reasonable price. Eminent artists such as Eric Gill, Osbert Lancaster, Blair Hughes-Stanton and Gibbings were commissioned to illustrate the publications. In 1933, Christopher Sandford, along with Owen Rutter and Francis Newbury, acquired the press. Separate bibliographies of the press's output were issued. Pertelote covers the years 1936 to 1943 and features four books illustrated by JBW. Pertelote. A Sequel to Chanticleer. Being a Bibliography of The Golden Cockerel Press October 1936 - 1943 April. London: Golden Cockerel Press, 1943. Brasch Z 232 G65.